Where (and what) in the World? I’ll announce the answers tomorrow night! 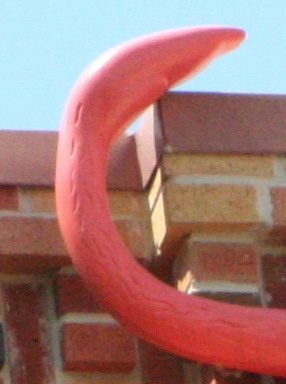 Where (and what) in Disney World is this? Wordless Wednesday: Where were these taken? That's an easy one! Disney Hollywood Studios…it's the arm of one of the big plastic monkeys stretched across Pixar Place!!! Grins! If you see the blog much, you'll find that a) I don't do these very often, and b) they are really easy to begin with. I guess I'm just not clever enough for it. Thanks for playing along though! Previous Post: Disney Go To Girl Contest!